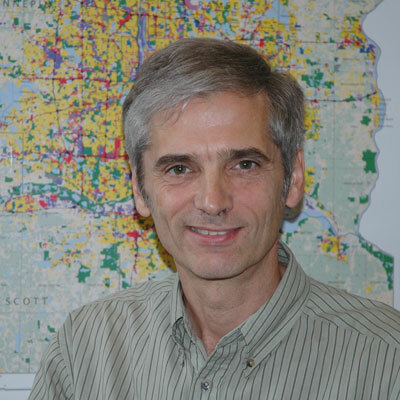 Rick Gelbmann is a leader in developing MetroGIS capacity and promoting GIS utilization within the Metropolitan Council. As GIS Manager at the Council, he saw the value of parcel data and pushed for collaborative activities with the counties that led to the concept of MetroGIS as an active GIS data sharing organization in the Twin Cities. In 1997, he negotiated Metro Council’s relationship with The Lawrence Group that made street centerline data available free to all government bodies in the state as well as academic institutions. He championed the development of DataFinder and through the staff he manages serves as the regional custodian for 108 geospatial datasets. Along with Randy Knippel, he serves as co-chair of the MetroGIS Emergency Preparedness Committee. He has successfully encouraged cooperative efforts in acquiring othophotography. Within Metro Council he helps the various divisions benefit from the capabilities of GIS in such diverse areas as regional planning, transit routing and describing the region’s natural resources. He has served for several years on the Governor’s Council on Geographic Information and is its newly appointed Chair. 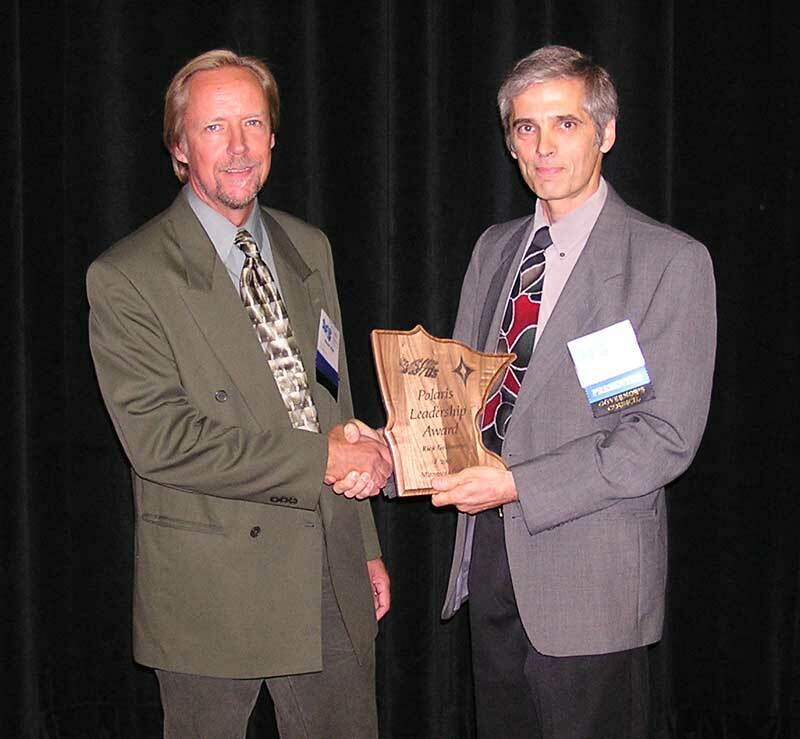 2005 Polaris Award recipient Rick Gelbmann with nominator Robert Maki.